Horizons Wealth Management is a fee-only fiduciary with a deep commitment to the Asheville area and Western North Carolina. We understand the people, the economy and values of those who live here. Asheville is a growing and thriving city and we are excited to be part of it. 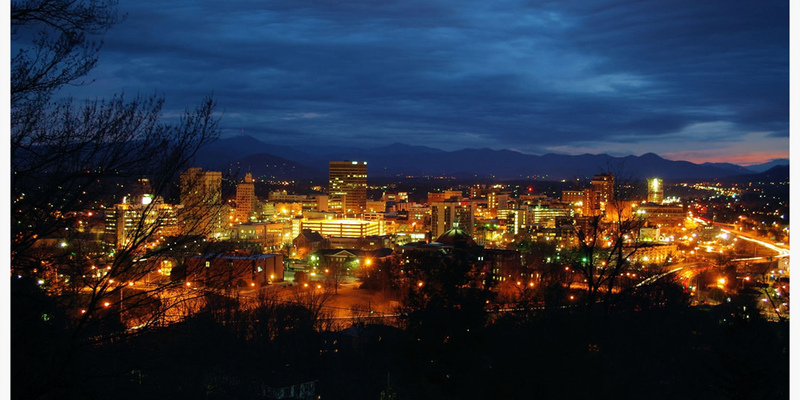 Asheville is considered one of the top cities in America to retire. Also, it has received national attention as the best place to visit in 2015 by Frommer’s Guide. We look forward to meeting you at our Asheville Office at 82 Patton Ave, Suite 210. Why choose a fee-only firm? Fee Only Financial Planner: What’s the Difference? Horizons Wealth Management specializes in providing objective and comprehensive financial planning to help our clients build, manage, grow, and protect their assets through life’s transitions. As an independent fee-only financial advisory firm, we provide completely objective advice and services to our clients. We have no financial incentive to recommend one investment over another. Instead, we strive to make the best recommendations for your situation. We do not sell any insurance and/or annuity products. We do not receive any commissions from any insurance agents, brokerage firms, mutual fund companies or outside third parties. Our fees are 100% transparent. We are paid by our clients, not by investment providers. We are held to the Fiduciary Standard, which means, by law, we must act solely in the best interest of our clients. What to Look For When Seeking a Fiduciary Financial Advisor. A fiduciary is someone who is required, by law, to act in the best interests of their client. Attorneys, accountants and even real estate brokers acting on a client’s behalf must act as fiduciaries. But in the financial services world, it’s not always clear who is and who is not a fiduciary. The merit of working with a financial advisor who is compensated only by the fees he or she charges is TRUST. This means you don’t have to worry that your planner is making a recommendation to generate fees. To be clear on terms, an advisor who is compensated only by fees is Fee-Only. These fees might be hourly, a flat retainer, or based on a percentage of your investment assets. Another word for a fee-only financial advisor would be a “no commission” advisor. Fee-only advisors can only receive compensation directly from his or her client (like a CPA or attorney). The concern you should have as a potential client is whether or not the advisor is recommending a certain financial product because it enhances their bottom line and if the products recommended are truly in your best interest. The greater the advisor’s dependence on commission income, the greater the conflict. In the end, the conflict can cost you, both in out-of-pocket expenses and in the quality of the advice you receive. We believe there is a significant conflict of interest if an advisor stands to gain financially from any recommendations you may follow. Another advantage of using a fee-only financial advisor is the opportunity for them to offer an objective second opinion of your current financial situation and investments. Because we can work with clients on an hourly, as-needed basis, we can complete a financial review of your current investments and financial situation to determine if you are on the right path to meet your goals. Are you legally obliged to put my best interests ahead of yours? Will you be serving as my fiduciary? Will you sign a fiduciary oath? Are you fee-only or fee-based? Explain your compensation method. What licenses do you hold? A Series 7 License means the advisor is a registered stock broker. Having an insurance license means he/she can sell you annuities and life insurance policies and accept commissions. There is clearly a conflict of interest if the advisor has a combination of these licenses. Do you receive any commissions or referral fees? Are you a registered investment advisor? Our services range from addressing a specific financial question, reviewing your current investment portfolio, constructing a comprehensive financial plan, retirement planning and/or comprehensive portfolio management. Do not confuse fee-only and fee-based advisors. The terms sound similar, but there are important differences. Fee-Only advisors charge a one-time or ongoing transparent fee, depending on the types of services they provide. Two-thirds of advisors charge both fees and commissions so they can call themselves ‘Fee-Based,’ but they are not true Fee-Only planners. Most of these fee-based advisors work for large brokerage firms where big commissions are still a large part of the business. Fee-based advisors do not have a duty to disclose their method of compensation, which can create a conflict of interest between what is best for you and what is best for the advisor. Fee-Only financial advisors are held to the Fiduciary Standard, which means we are required, by law, to put our clients’ best interest ahead of our own, but 75% of financial advisors are held to a much lower ethical standard called the suitability standard. When you work with a Fee-Only Financial Planner, the result is unbiased financial advice from a professional who is committed to acting as a fiduciary in a client-centered relationship. As an independent fee-only firm, Horizons Wealth Management commits to acting solely in the best interests of our clients. Glen Martin, David Hunter and Susan Cook all hold the Certified Financial Planner (CFP®) designation and we are also members of NAPFA, the country’s leading professional association of Fee-Only financial advisors. Please contact us for a complimentary hour-long consultation. We would love to answer your questions and walk you through the financial planning process. We look forward to seeing you in our Asheville NC or Greenville SC offices! Download our client documents here.